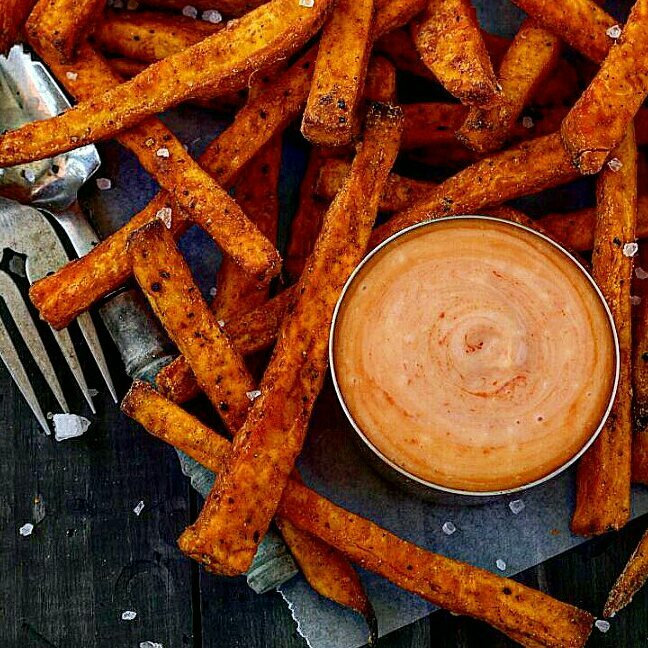 This is a requested recipe after I shared my Baked Sweet Potato Fries.It’s a simple recipe and it never crossed my mind to blog about it.I was surprised to see it being sold at the supermarket and it was not coming at a cheap. 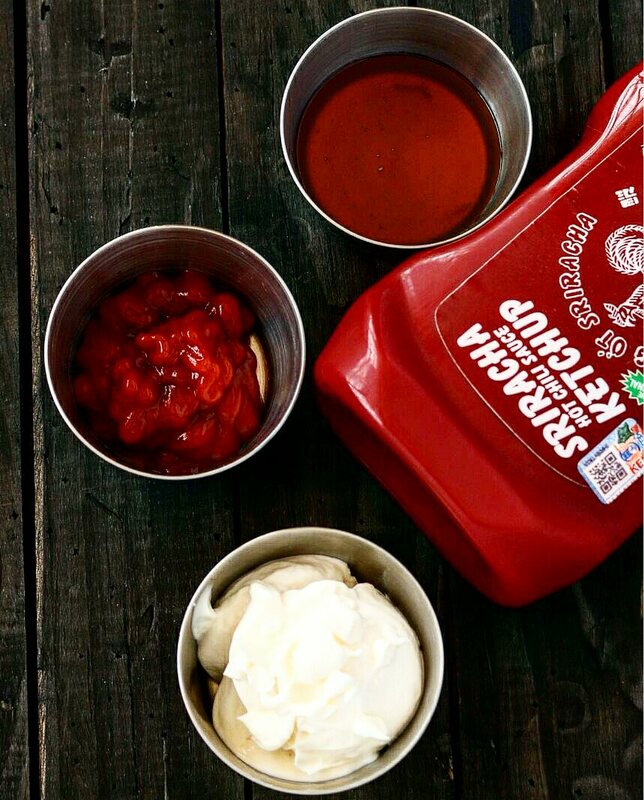 This simple sauce will bring to life your meals,hot&spicy sriracha sauce has slowly become a favorite of mine.The spicy sriracha heat is balanced of with the sweet from the honey.Mayonnaise makes this sauce creamy and rich. 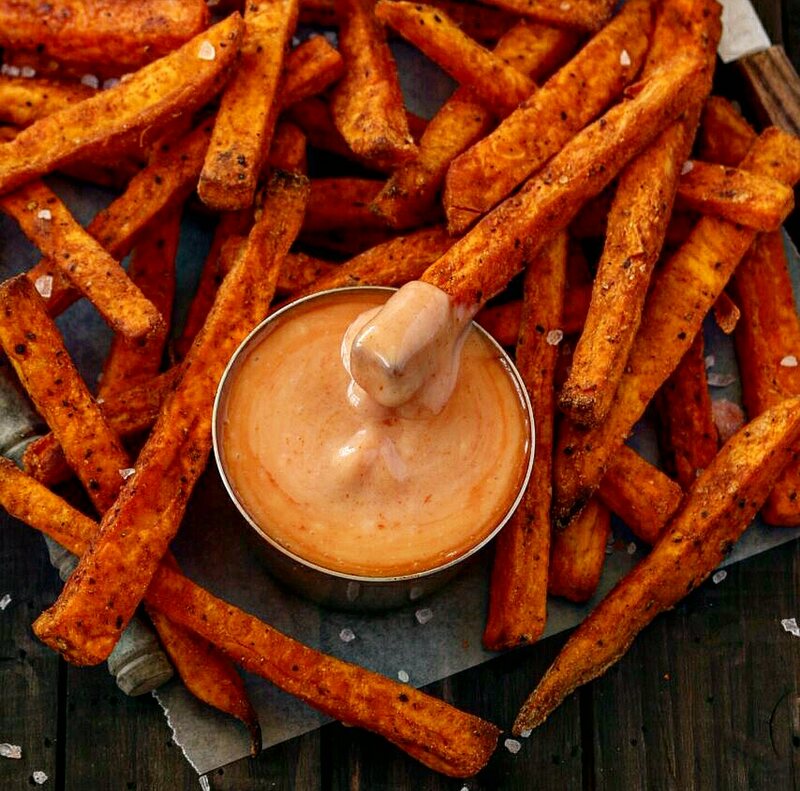 This dip goes well with anything you would take with ketchup.wedges,fries,burgers,sandwiches,shrimps this sauce is what you have been missing out out on. Nice options. I found this to be way too mayo heavy for my tastes (tasted more like a sandwich condiment)… tried again with 2 tbsp mayo instead of 3… still no dice. Maybe it’s missing something? Cool idea though.